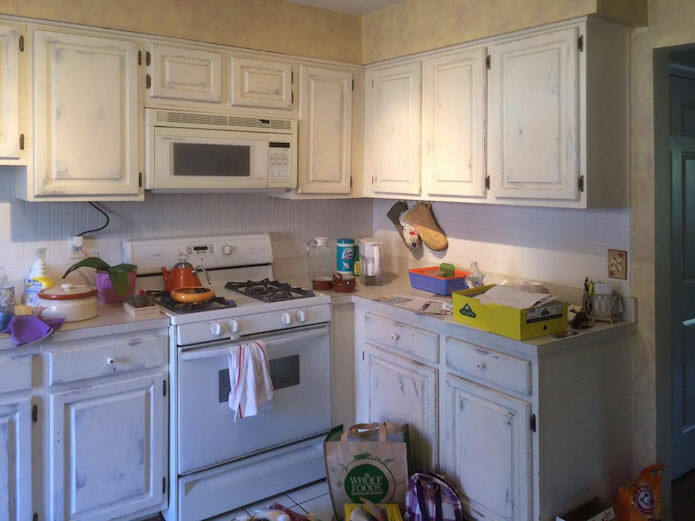 The old cabinets in this townhouse have seen better days. 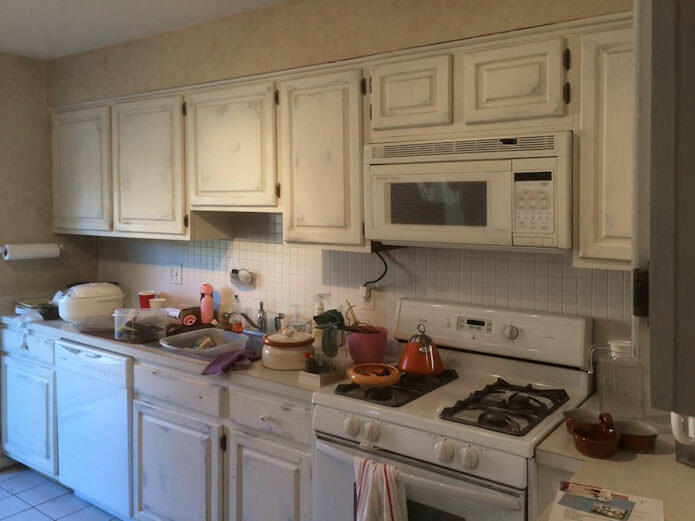 They were falling apart and being an eyesore scaring away potential buyers. 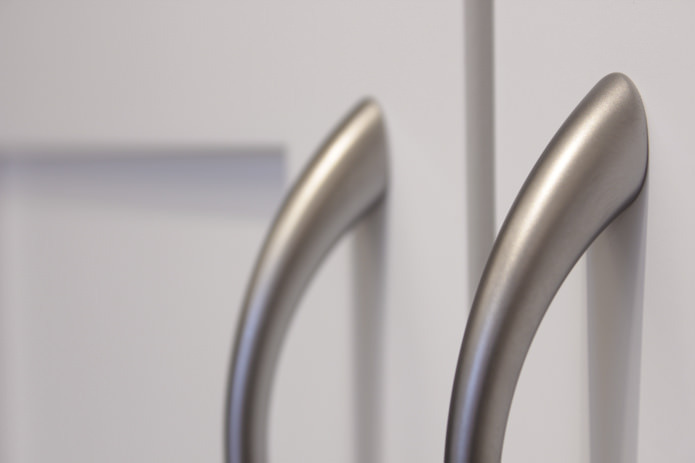 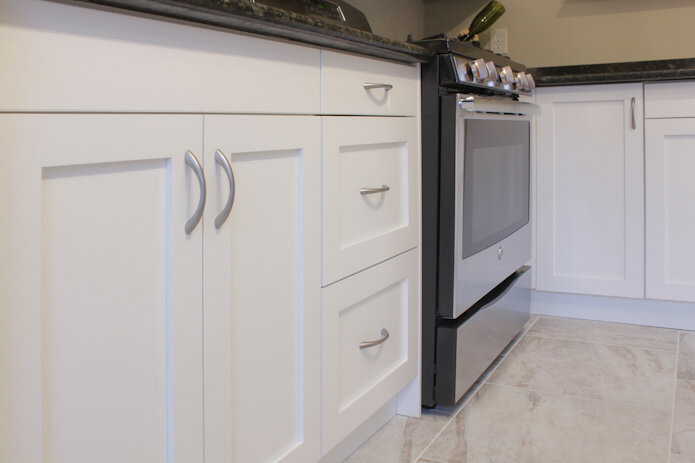 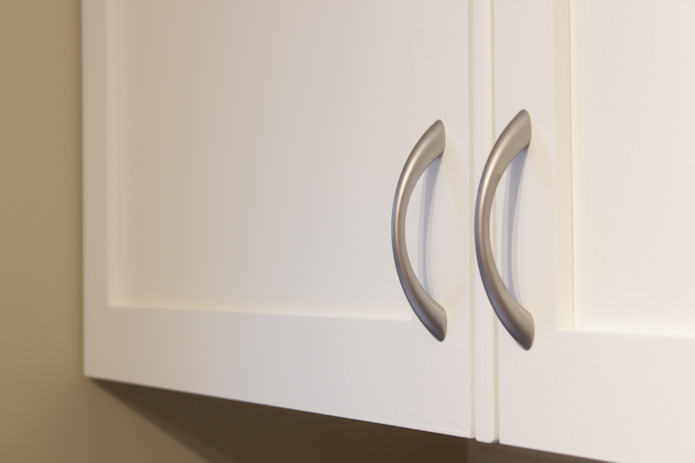 We built new, modern, frameless, full overlay cabinets with very modern slab doors with a high glass white finish. 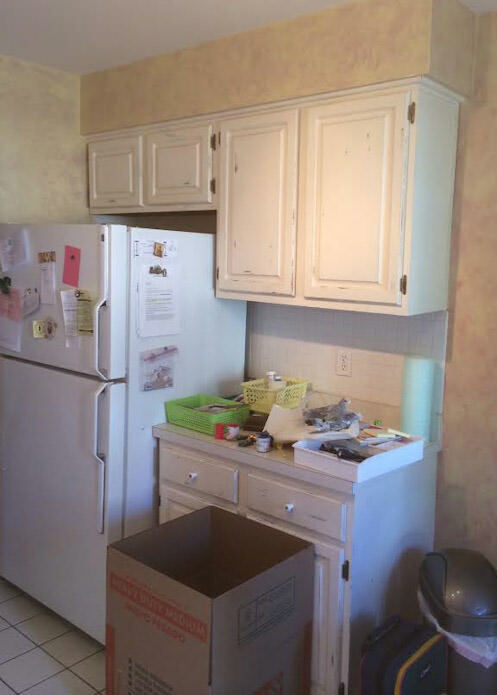 The old bulkhead was also removed allowing the wall cabinets to be full height. 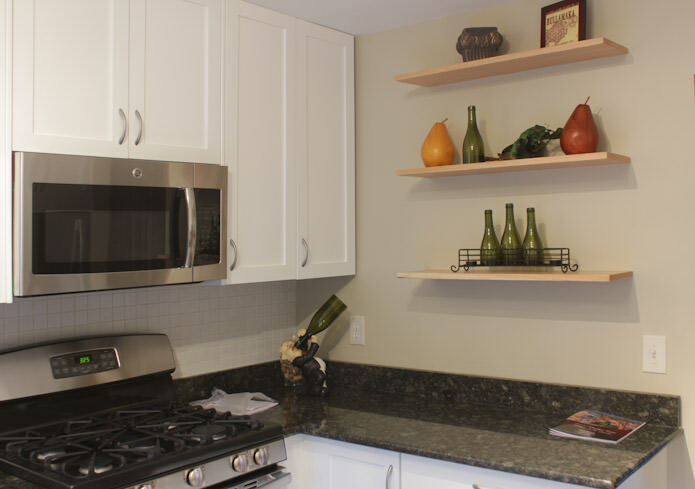 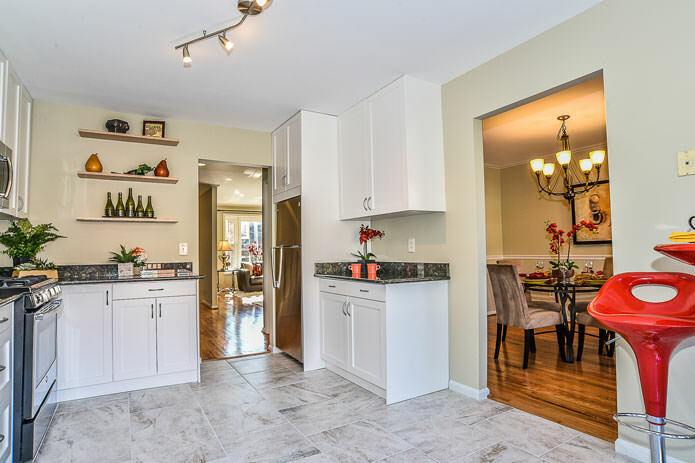 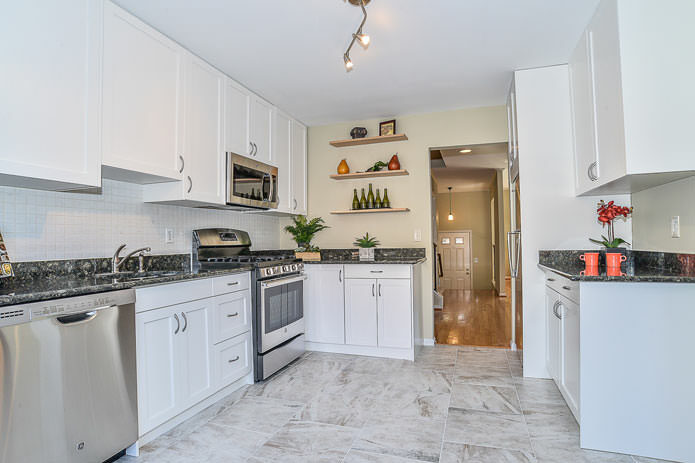 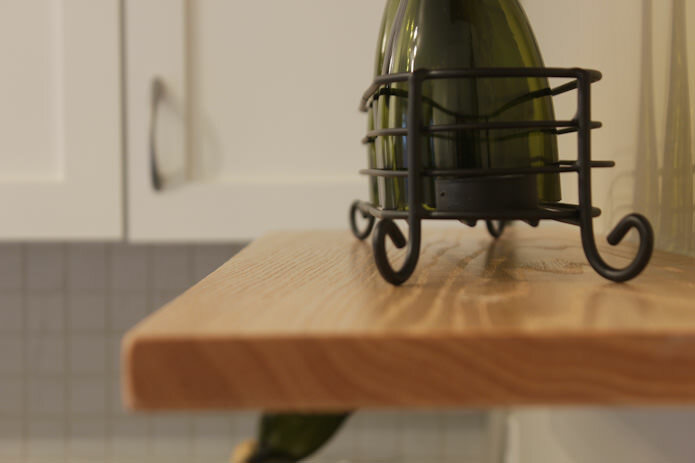 For a more open feel, some wall cabinets were replaced with beautiful, stained solid oak floating shelves. 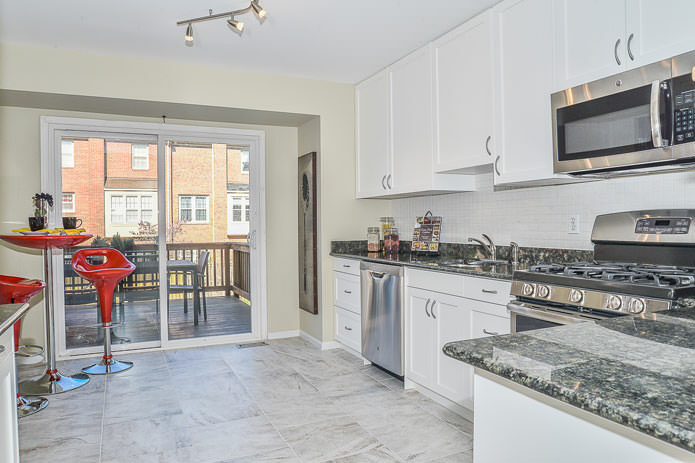 The fridge got built in with a large side panel. 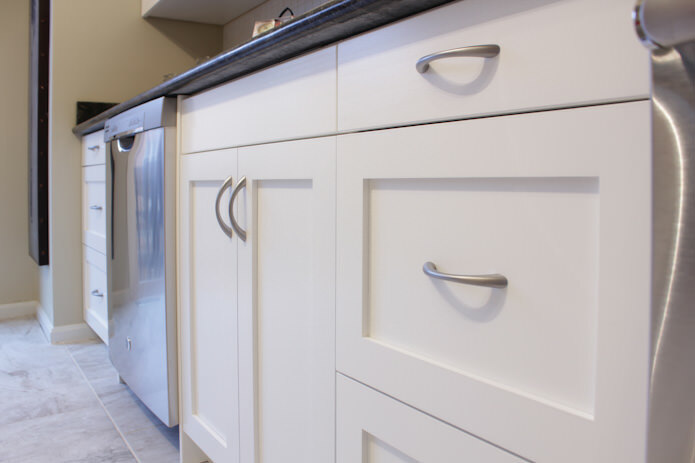 All doors and drawers got installed with soft close hinges and slides.